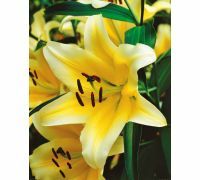 This particular section contains bulbs of lilies of many different varieties. 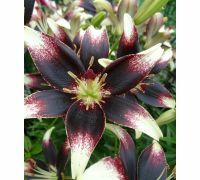 There are real garden treasures hidden here – the original, sought after species, accustomed to growing in temperate climate and delighting us with sometimes highly unusual colouring of their blooms. 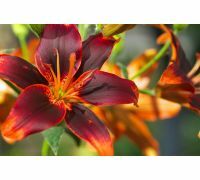 Get to know the offer and surrender to the charm of Asian and oriental lilies. Their blooms are often one-colour – white, yellow, orange, pink or red – what makes creating of a cheerful, summer arrangement so much easier. 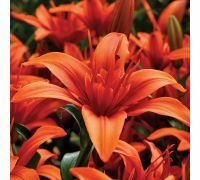 Should you expect this plant to dominate your flower bed, choose the exceptional orange-yellow „Latvia” or the crimson-creamy-white „Nettys Pride”. The fuchsia-pink-and-white „Dizzy” dazzles with a decorative pattern on its petals, while the yellow-pink-orange „Linda” stuns with an unique combination of dots and spots. 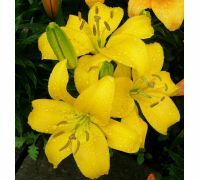 You should also take a look at the other varieties and read their descriptions. 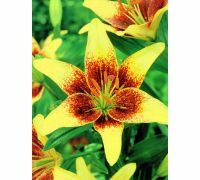 That way you will learn everything you need to know about the size of the Other lilies’ bulbs, the expected height of the plants, as well as about planting and blooming periods. 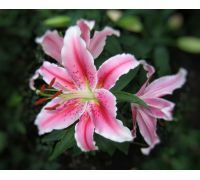 We sell different lily and other bulb plants’ species in our store. Since we cooperate with proven, renowned, respected producers only, you can be sure that you will receive seedling material of the highest quality. 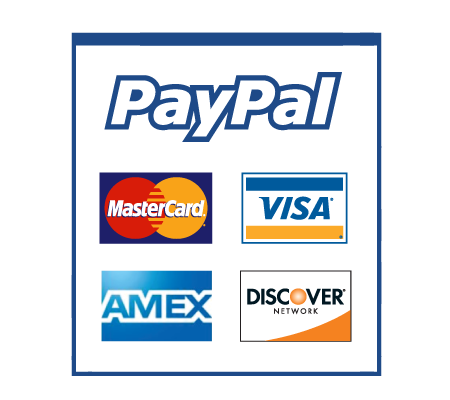 Thanks to the affordable prices you will make substantial savings. 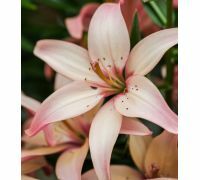 Do not hesitate – select, order and admire the beautifully blossoming flowers a little later.